Hailed as the "King of the Keys," most people called his music jazz, but Duke Ellington said it was "the music of my people." A most fitting tribute to a great man who proudly celebrated the history of African-Americans, from slavery to civil rights struggles. 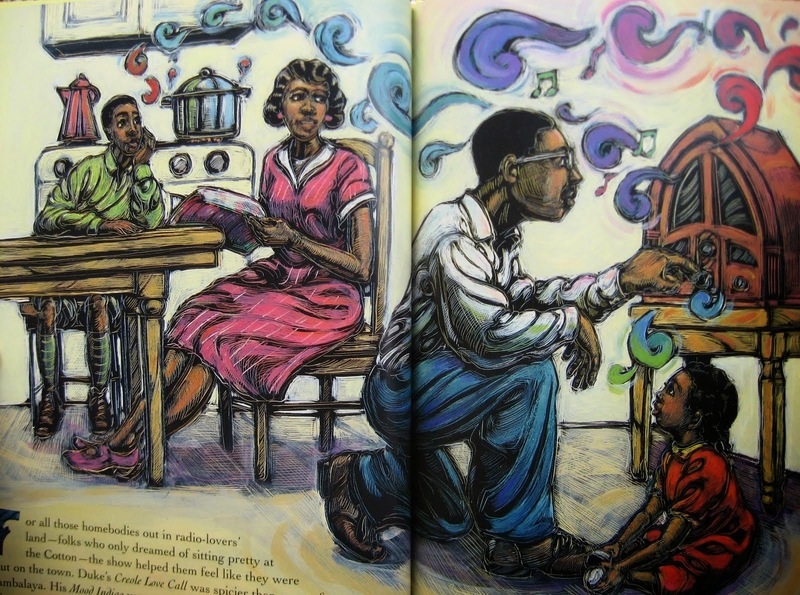 Brian Pinkney's artwork swings and sways in a reflection of Ellington's music. First I'd like to point out what a fine-looking couple the author and illustrator are! You know you're blessed when your soulmate's calling in life coincides with your own. That is just so darn precious. This children's book comes not only with funky artwork, but the language is also set to its own beat. You learn cool new metaphors like "spicier than a pot of jambalaya!" or slang terms like "swankiest." 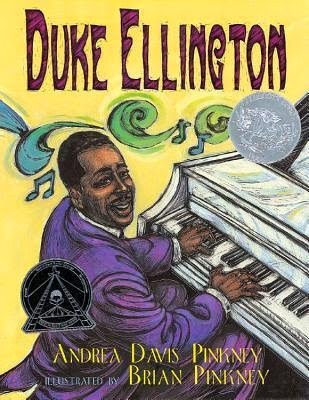 You and your child(ren) can have fun together enjoying the colorful movement of the pages while learning about Duke Ellington's musical legacy during a time of racism. 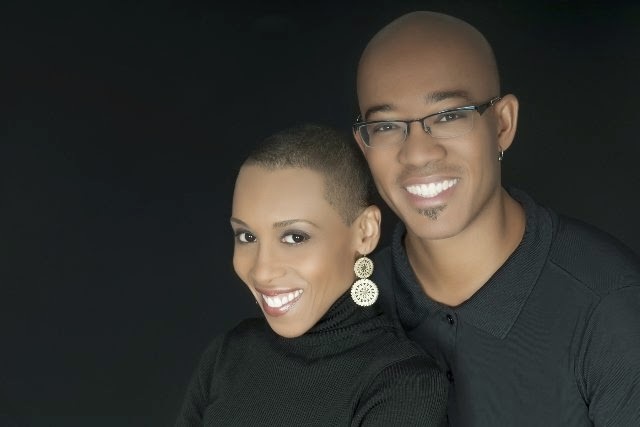 Andrea Davis Pinkney does a masterful job of creating equal movement with her words throughout the book. Interestingly enough, the pictures are done by the scratchboard painting technique. Scratchboard painting is created by using a white board that is covered with black ink and taking a nib (a very sharp tool) to scratch wavy ink that creates an image. Once the image is designed, the scratched part is painted over with oil paints, Luma dyes, and acrylic paints. Voila! A beautiful masterpiece that is unique, colorful, and pleasing to the young eye. 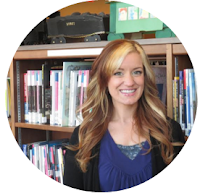 I loved the velvety rhythm and movement between the words and illustrations. 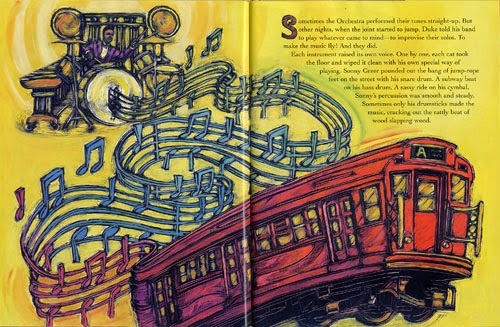 This is a very unique book that can be used as an educational tool for both musical and African-American history. I would suggest playing some of Duke Ellington's music along with this book to enhance the learning experience. I look forward to discovering more books by these two!